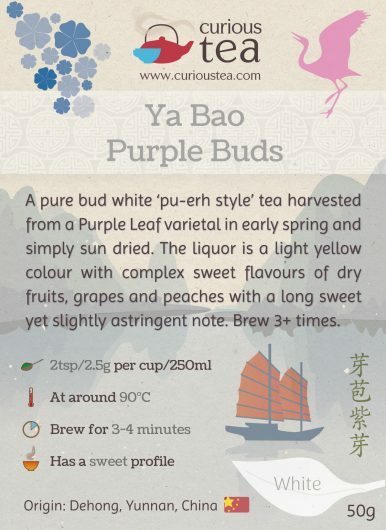 Ya Bao Purple Buds is a pure bud white ‘pu-erh style’ tea harvested from a Purple Leaf varietal in early spring of 2017 in Dehong, Yunnan Province and simply sun dried. 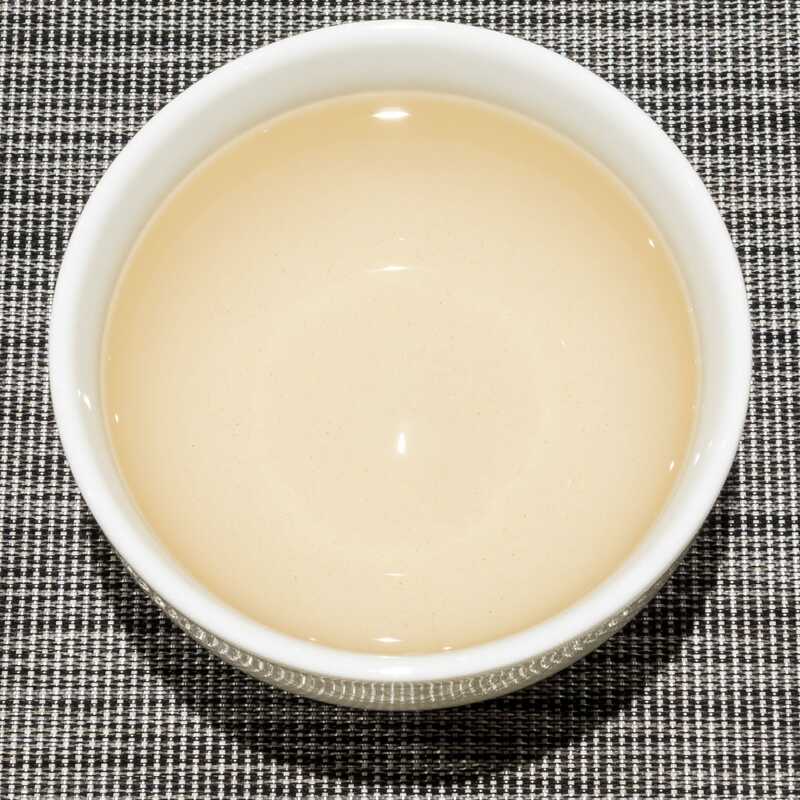 The liquor is a light yellow colour with complex sweet flavours of dry fruits, grapes and peaches with a long sweet yet slightly astringent note. 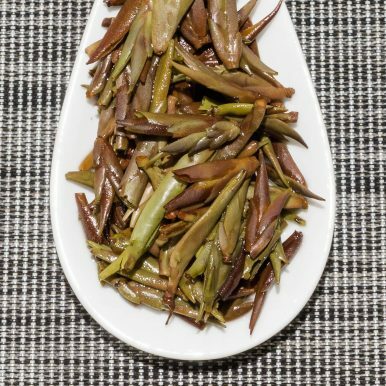 Ya Bao (芽苞) Purple Buds is an unusual pure bud white tea originating from Dehong Dai and Jingpo Autonomous Prefecture in Yunnan Province of China. 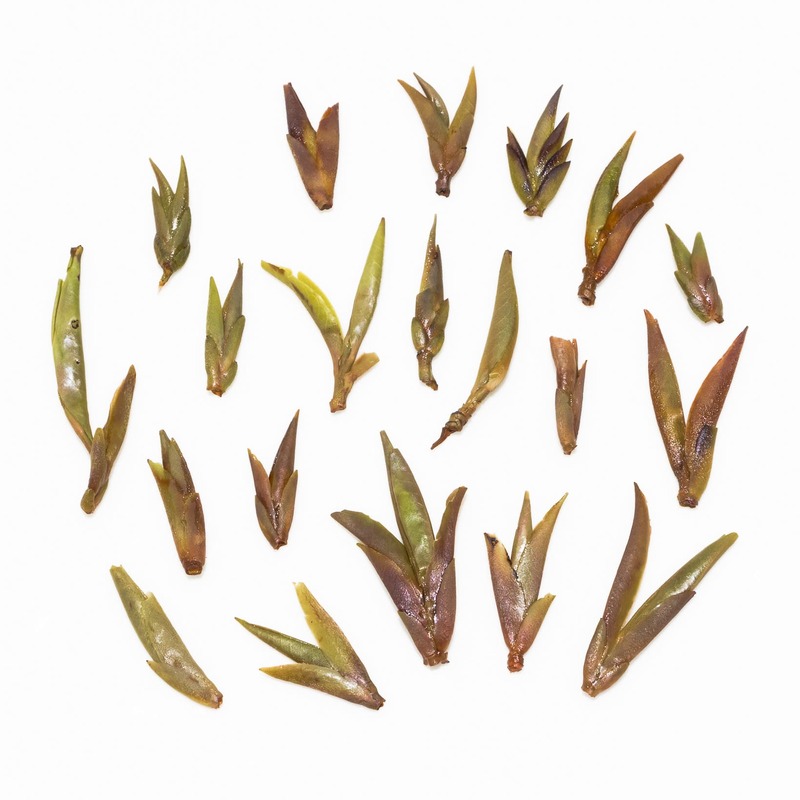 This tea is hand plucked from a local wild growing Ye Sheng or Wild Tree varietal of Camellia sinensis var. 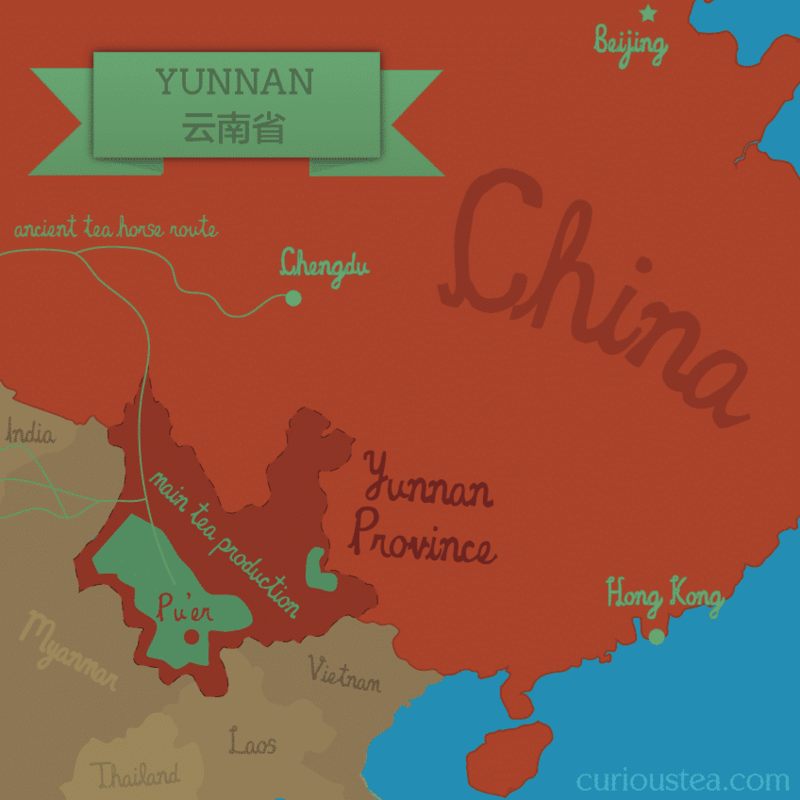 dehungensis, an ancient varietal native to the high mountain regions of southern Yunnan that is favoured for production of pu-erh teas. This particular batch was hand picked and sun dried in March 2017. 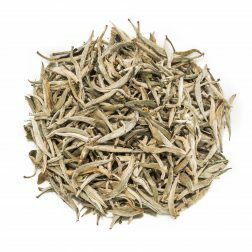 Similar to our Ya Bao Silver Buds, this white tea is plucked early in spring when the high altitude trees just start producing new growth. 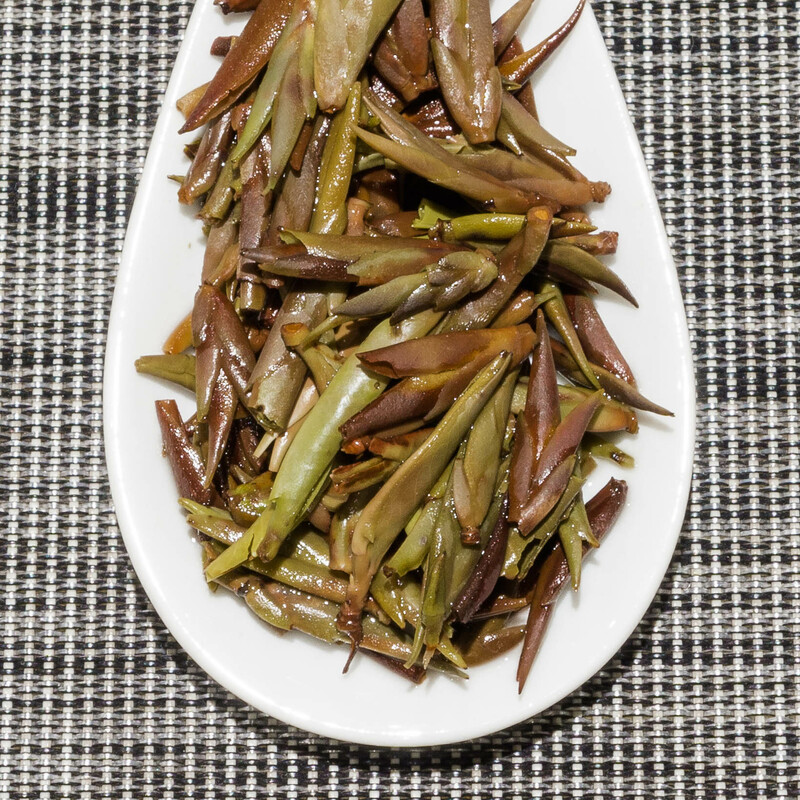 After plucking, these buds are simply dried in the sun in order to remove any moisture and no further processing is carried out. 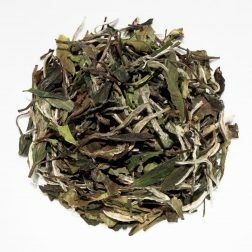 The wild tea bushes that this tea is plucked from are called Ye Sheng (野生) or simply ‘Wild Tree’, referring to the ancient purple leaf tea plant that is native to high mountain areas of Yunnan Province. 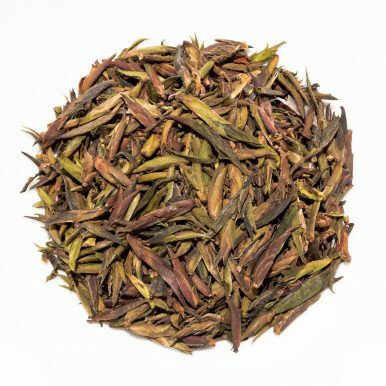 This wild purple varietal is different to the Zi Ya (紫芽) varietal, which actually is a mutated version of Assamica that grows at high altitude in Yunnan Province. Both of these tea plants have purple coloured tea buds and young leaves, which are the result of unfavourable high altitude growing conditions. The purple colour acts as a natural way of protecting tender leaves from harsh ultraviolet rays. As this young bud white tea has undergone minimum processing, you can clearly see the purple tint on the dry leaves. Ya Bao Purple Buds really is a white tea, however it is also sometimes sold as a pu-erh or a ‘white pu-erh’ as it is made from buds from the same Yunnan trees that are used for producing pu-erh teas. 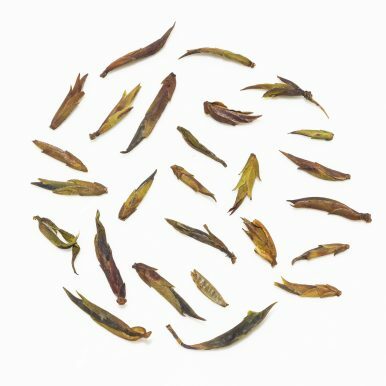 It also undergoes processing that is more akin to the starting point for a young raw Pu-erh – young buds of this tea are simply dried in the sun, leading to slight oxidation during sun drying. The dry leaves of this Ya Bao Purple Buds white tea have an unusual appearance of whole small buds and have a woody aroma. 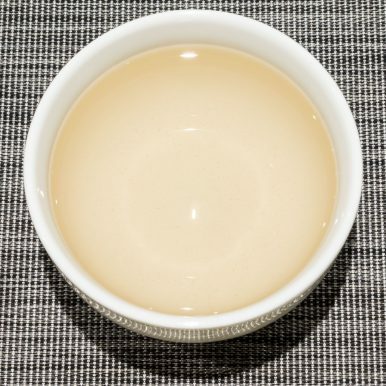 When brewed, this tea produces a light yellow liquor. 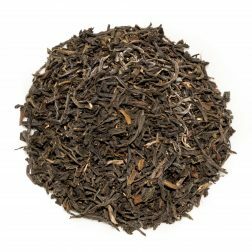 The complex taste is smooth and very pleasing on the palate, with a sweetness that this tea is famous for. The juicy and mouth watering liquor coats the palate with a long lasting complex sweet taste. There is no astringency but just a hint of bitterness is present. The taste is robust with fruity notes of dry fruits, peaches and grapes. We suggest brewing at 90°C for 3-4 minutes according to your taste. 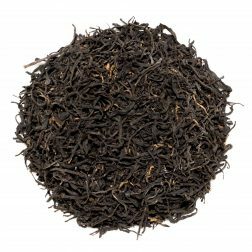 It can be brewed more than 3 times depending on your preference.